GOOD News to Malaysian Primadonna!!! 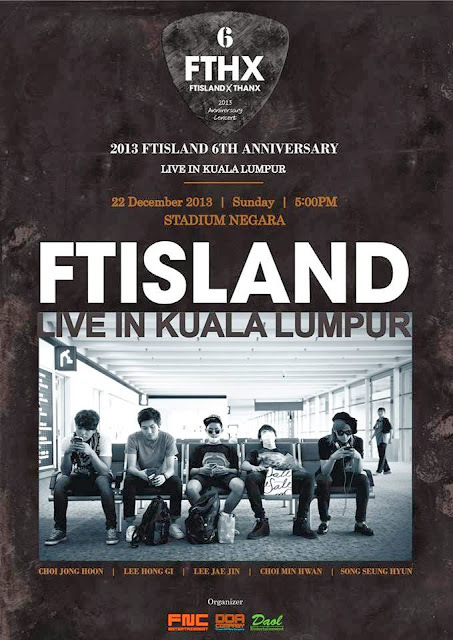 As you guys know, FTISLAND have be attend the Korea Event in Malaysia is Golden Disk Awards in January 2013. Now, FTISLAND will once again make a comeback to Malaysia in December 2013 to headline their own anniversary concert tour. The concert tour named FTHX to thank the fans who had been supporting them for the past 6 six, FTISLAND, comprised of Lee Hongki (vocal), Choi Jonghun (guitar/keyboard), Lee Jaejin (bass/vocal), Song Seunghyun (guitar/vocal and Choi Minhwan (drum), had previously performed for a two-days concert in Seoul on 28th and 29th September. In Malaysia, they're slated to perform at Stadium Negara on 22nd December 2013 at 5pm. Actually, the ticket already be launch on 12th October 2013 at Fahrenheit 88 (Ground Floor), Kuala Lumpur from 10.00am to 3.00pm while the online tickets can also be purchased via www.airasiaredtix.com on 12th October, from 3.00pm onwards. 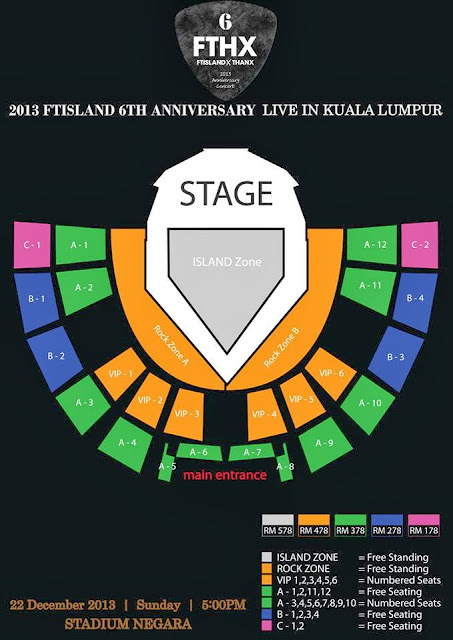 The ticket is stay available for all categories, so all Malaysia Primadonna caught your ticket.. This concert are organized with the same organizer for CN Blue 2013 Bluemoon World Tour Concert Live in Malaysia; Daol Entertainment.